At Disneyland, a dream is a wish your (vegan) heart makes. 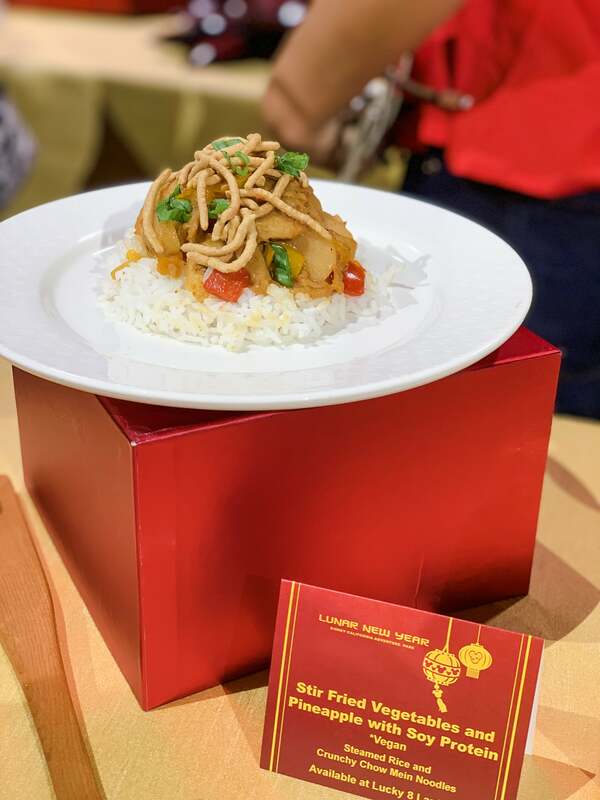 Or at least that’s the impression we got when we visited the park in late January for the kickoff of Disney’s Lunar New Year celebration, where we got a sneak peek at the food. 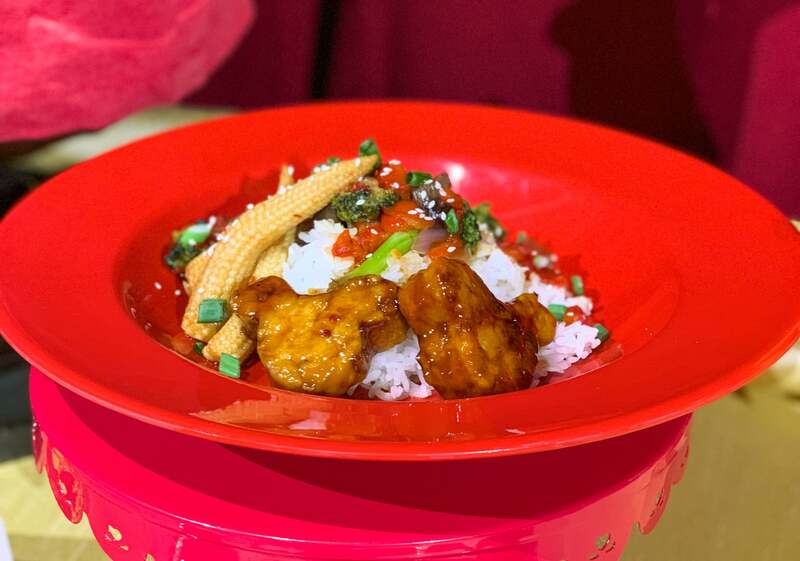 “We’re finding that a lot of our guests prefer to eat something that is plant-based,” said Disneyland culinary director and executive chef John State. Responding to the rising demand, he told POPSUGAR that we can expect to see many more vegan dishes at coming festivals and throughout the resort. In true Disney fashion, they’re not just going to veganify current dishes haphazardly — first and foremost is taste and quality. 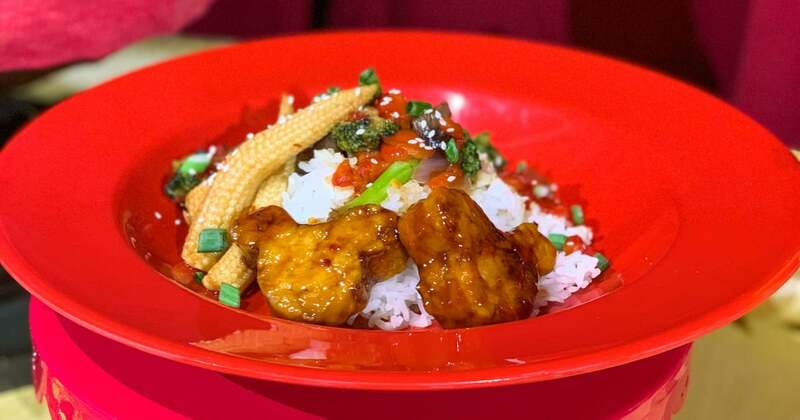 As Disney California Adventure Park West’s general manager, Gary Magetti, put it, “We’re making delicious food that just happens to be vegan.” Think: orange “chicken” with Mickey Mouse-shaped tempeh. The results have been incredible. The orange “chicken” dish was delightful, and the almond milk tea was absolutely out of this world. The chefs even made a soy protein-based stir-fried veggie dish, which isn’t quite tofu and isn’t quite tempeh. They’re calling it “oomph” and noted that it “looks and acts like [meat-based] protein.” It’s like they Imagineered it! In terms of the flavor, the chef said, “I’m someone who likes to eat everything, and I still like to eat this.” So it’s not just for vegans!